Two day, weekend art workshops for kids. These camps are media based and will include art instruction, all art supplies and a light snack. 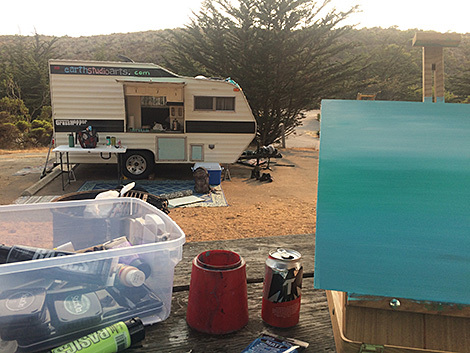 Activities will be based out of doors from the Earth Studio Arts trailer – students should wear comfortable clothing and walking shoes for possible nature hikes to gather art supplies. Location: Incline Village Parks & Recreation, 980 Incline Way, Incline Village, NV, 89451. Limited to 8 campers per session.